I told you! Three Sunday Stashes in a row? Wow! 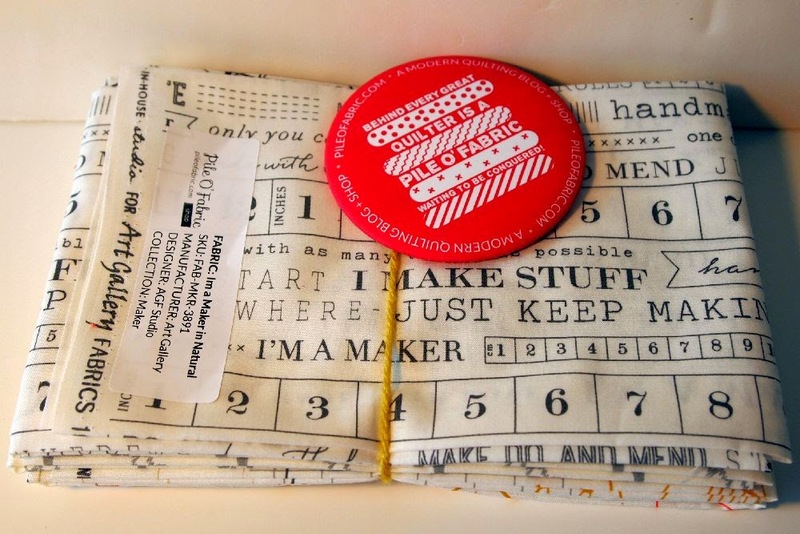 My idea of a really great shop is one that has fabric I can't find at my LQS. Around the Block in Cheyenne, Wyoming is a really great shop! 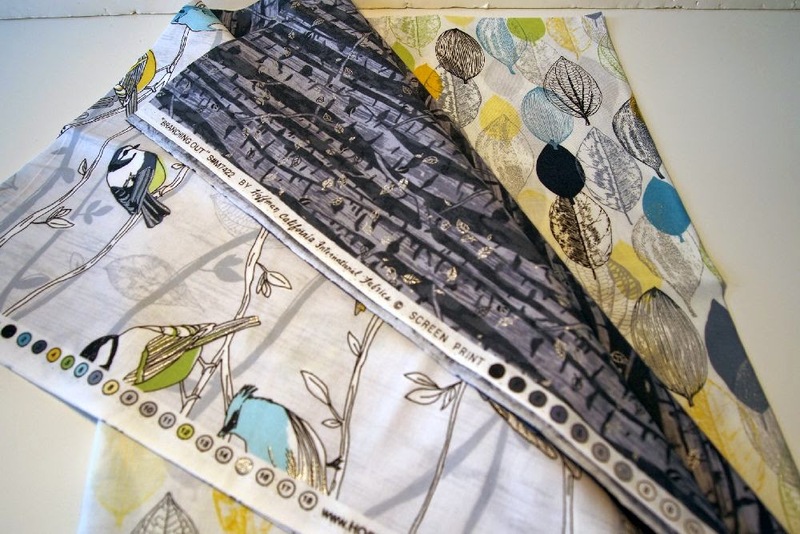 "Branching Out" from Hoffman Fabrics. Designated for drawstring bags. "Paw Prints" by Kathy Davis for Free Spirit. Because it looks just like Samosa! 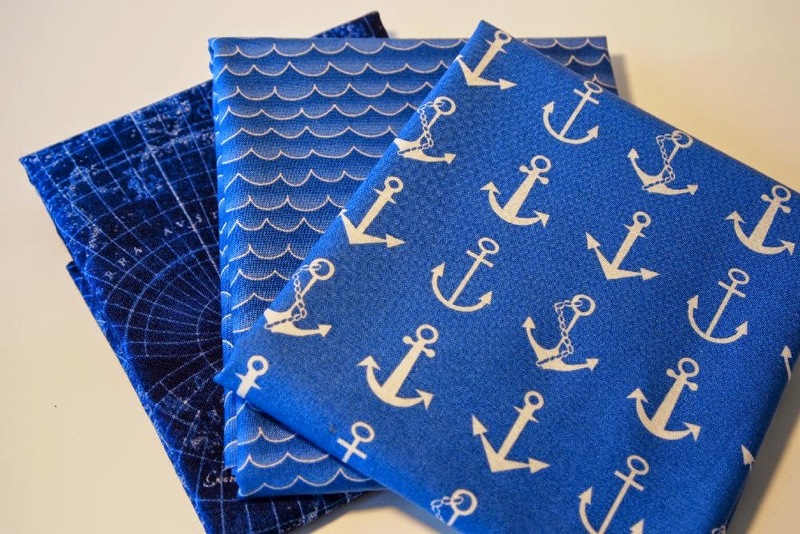 Alexander Henry Fabric Collection, Westminster Fibers, "Sanibel" by Gina Martin for Moda. 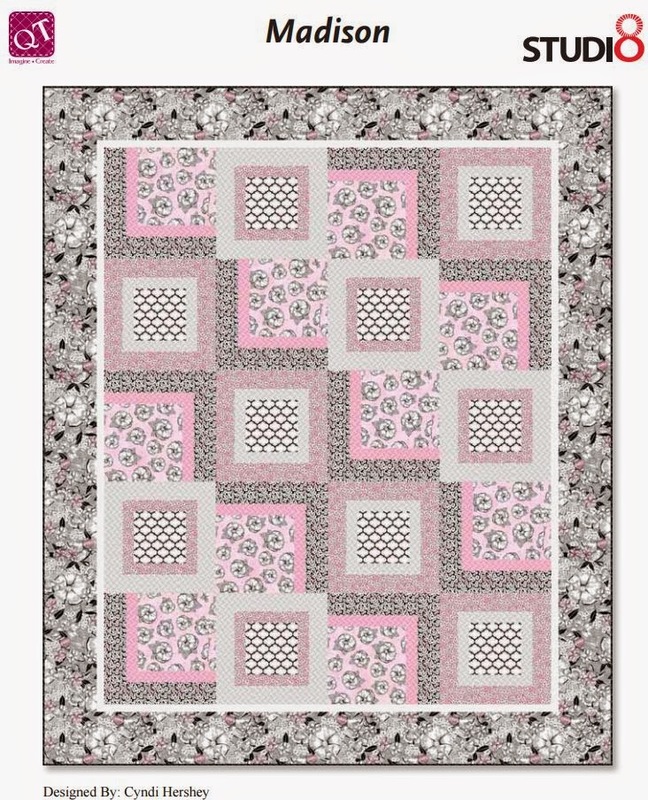 "bisou dot: by De Leon Design group for Alexander Henry, "vie en rose" by Alexander Henry. You guessed it -- more bags! I'm a major "Wizard of Oz" fan, and when I found out Around the Block is doing a WoO BOM, well. 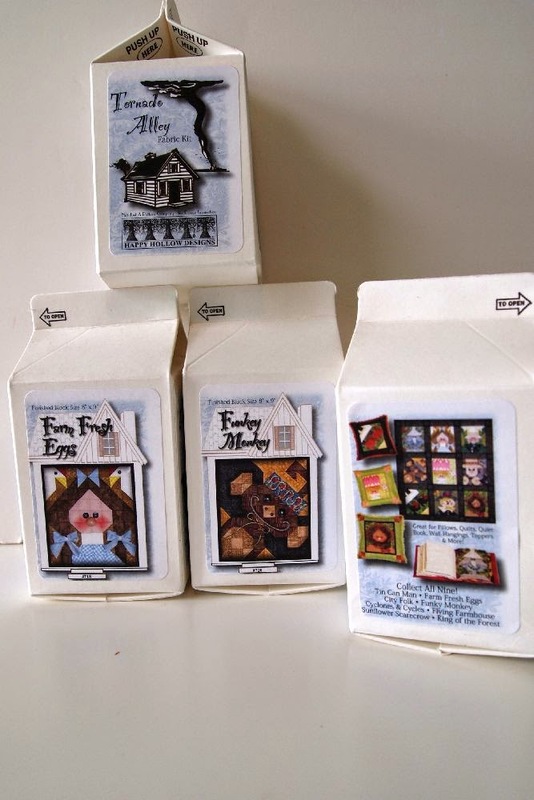 These darling little half-pint milk cartons each contain a block that will finish at 8" X 9" and make up onto a perfect wall hanging size quilt. 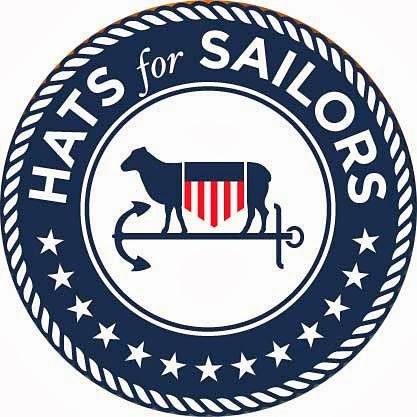 They are designed by Happy Hollow Designs. And ohmigoodness, they have WoO ornaments, too! So far, I have "Funky Monkey," "Tin Can Man," "City Folk," and "Farm Fresh Eggs." 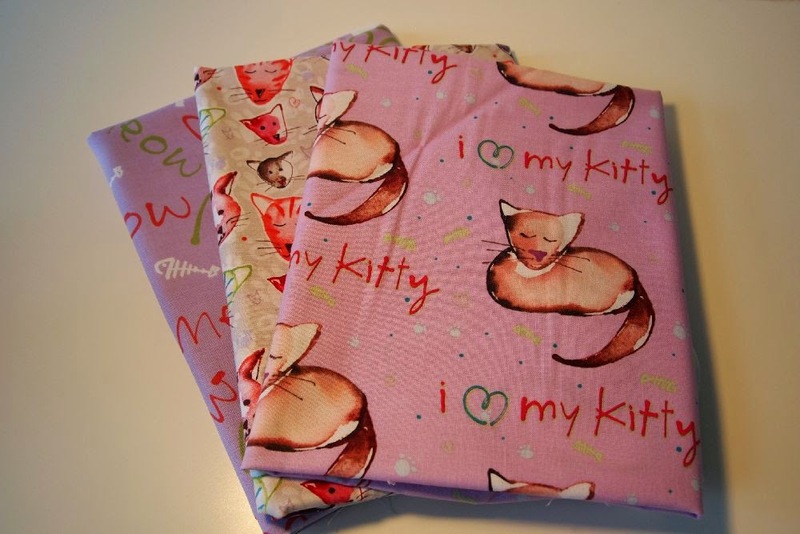 Another really great quilt shop is Cotton Candy Sewing Shop in Loveland, Colorado. 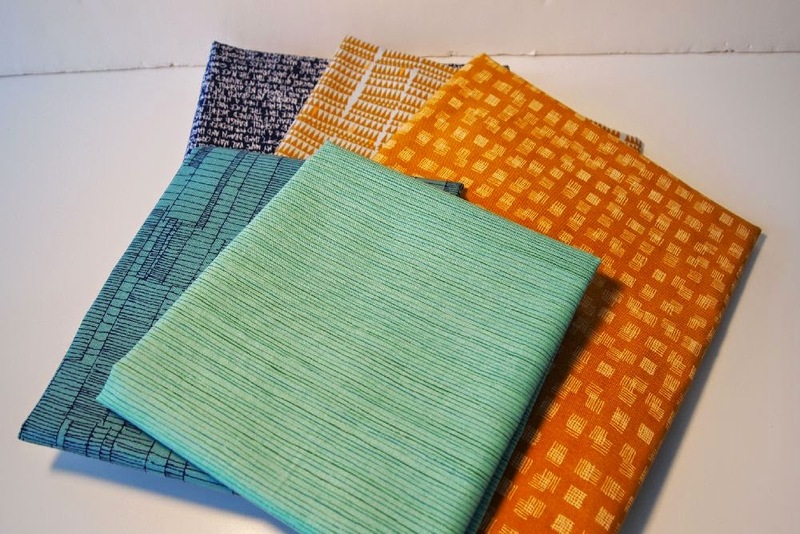 Chrystal's shop specializes in modern fabrics and fun project samples. Since I'm no longer driving to Ohio twice a year, with a little detour to Stewartsville and the shop of Tula Pink's mama, I missed this collection completely! Carolyn Friedlander for Robert Kaufman. My new obsession. I know! I won the entire fat quarter collection of Valori Well's "Cocoon" when it first came out. But this print is on linen! Won't it make a wonderful drawstring bag? I usually shop for yarn at Loopy Ewe in Ft. Collins. They have really stepped up their fabric selection since my last visit! If you're a "Sweetwater" fan, you may have heard of Fort Morgan, Colorado. 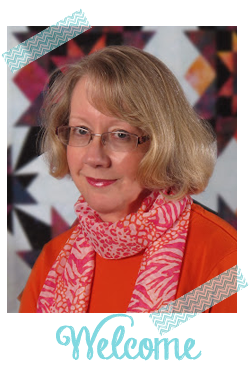 Not only is it the home of the Sweetwater girls, it's home to Inspirations Quilt Shop. It was my first stop on my Retreat Road Trip, so I only bought two patterns. (I know! Gasp!) Good ones, though! The staff at Inspirations has this design made up in Downton Abbey fabrics. Since I have the entire Downton Abbey FQ collection, I had to have this pattern! 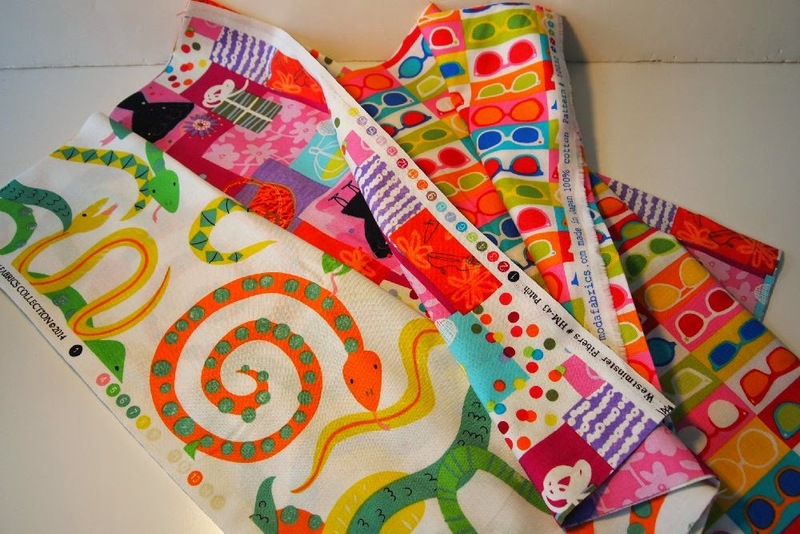 Abbey Lane Quilts is the designer of the clever "Beatle Bag." Friend Mary will be teaching the class on this bag at Ruth's Stitchery later this month. 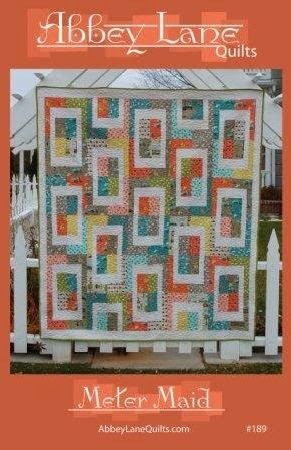 "Meter Maid" is a 15 fat quarter quilt -- perfect for some of those FQ bundles I can't seem to resist! And "just one more" low volume bundle. I so appreciate Pile O'Fabric, because they label each FQ with the fabric name, manufacturer, designer and collection. They even include the SKU, so if you need more of a specific print, it's so easy to order! Guess what? They have quilt shops in Texas! More Sunday Stash Reports to follow! Aunt Marti, love your stash happy mood today! Fabric is good for the soul. I heard you say Tula Pink's mamma has a store in Stewartsville, and I'm headed that way tomorrow. Can't track down which shop, though. Could you send me an email to let me know which one, please? So grateful! 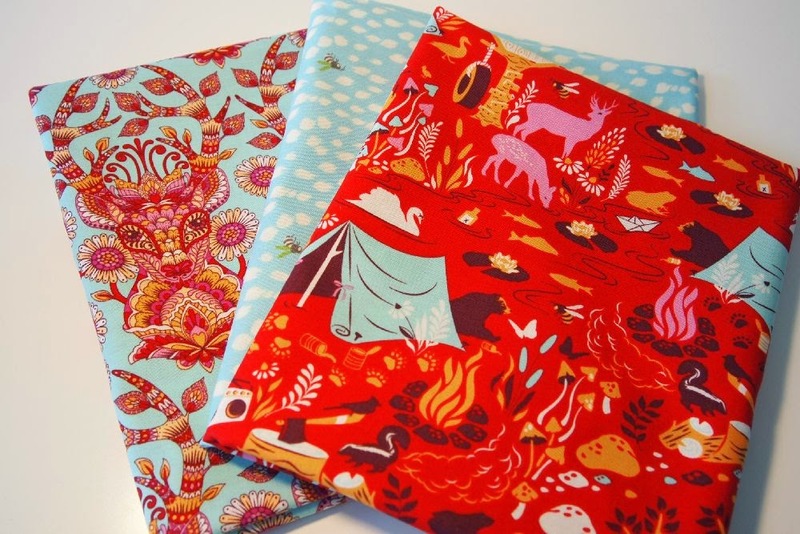 Some amazing stash fabrics you've got there...beautiful! Great finds! 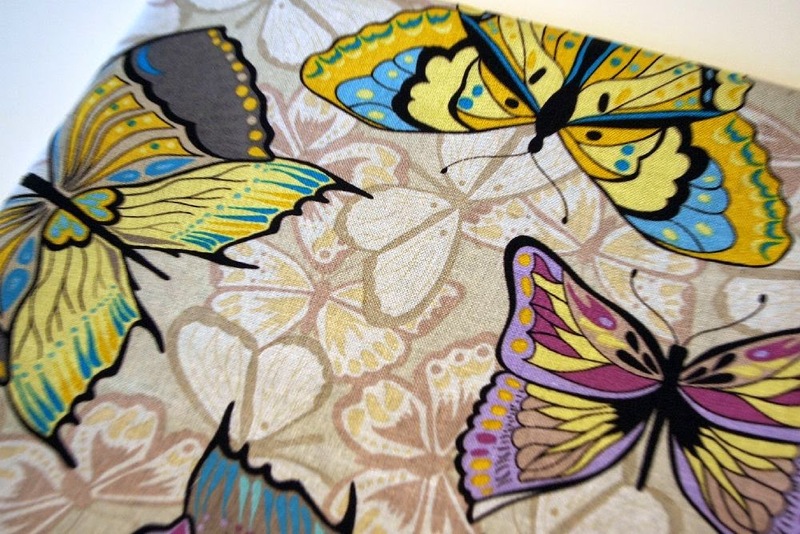 I love that butterfly fabric. I'm excited to hear about your Texas stash report! Yes, indeed...they have quilt shops in Texas! Oh boy am I missing Texas. 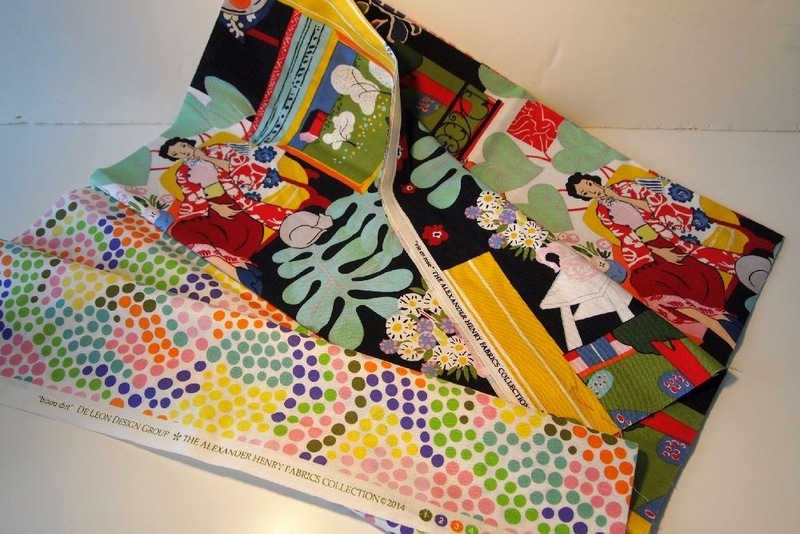 There are not any quilt shops here in Japan (where we're located). I don't see myself buying much fabric while here. Thank goodness for my stash! Nice! 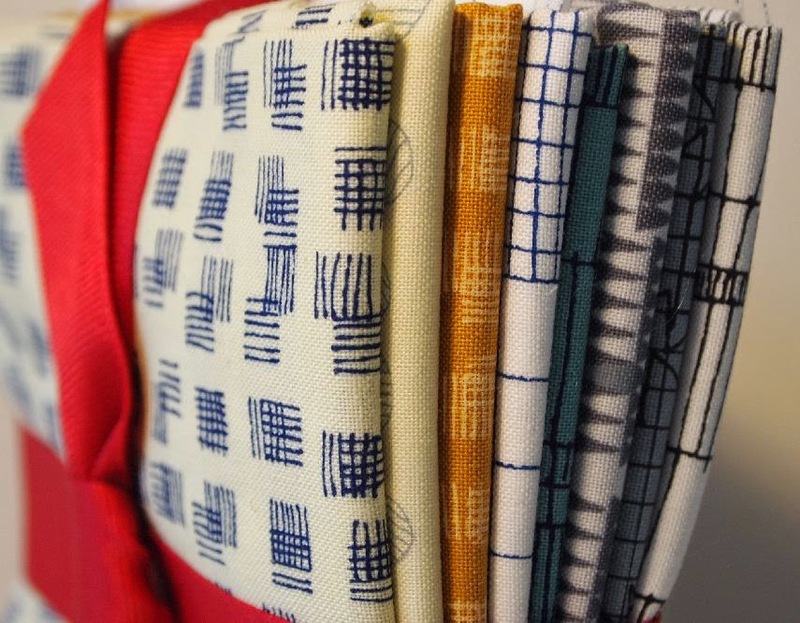 Lots of great stash fabric. Yes ma'am we have quilt shops in Texas. I live in the middle of 2 great shops but love to visit as many as I can when I can.